ABU DHABI: The air embargo imposed on Qatar only applies to airlines from Qatar or registered there, the United Arab Emirates Civil Aviation Authority said Tuesday. Saudi Arabia and Bahrain issued identical statements on the air embargo, which came into effect when Riyadh, Abu Dhabi and Manama broke off relations with Qatar on June 5, accusing it of supporting “terrorism”. The embargo bans “all Qatari aviation companies and aircraft registered in the state of Qatar” from landing or transiting through the airspace of the Emirates, Saudi Arabia and Bahrain, according to the statements published by the national agencies of the three countries. 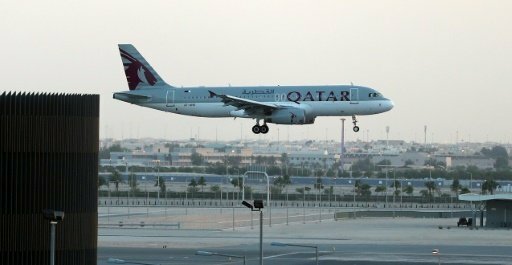 The ban does not apply to aviation companies and aircraft not registered in Qatar and the three neighbouring countries, and which wish to cross their airspace to and from Qatar, they said. Qatar Airways Monday called on the UN’s aviation body, the International Civil Aviation Organization, to declare the Gulf boycott illegal and a violation of a 1944 convention on international air transport. Qatar Airways CEO Akbar Al Baker said the move by Saudi Arabia and its allies was an “illegal blockade”. Saudi Arabia, the United Arab Emirates and Bahrain are among several countries which last week announced the suspension of all ties to Qatar over what they say is the state’s support for extremist groups and its political proximity to Shiite Iran.